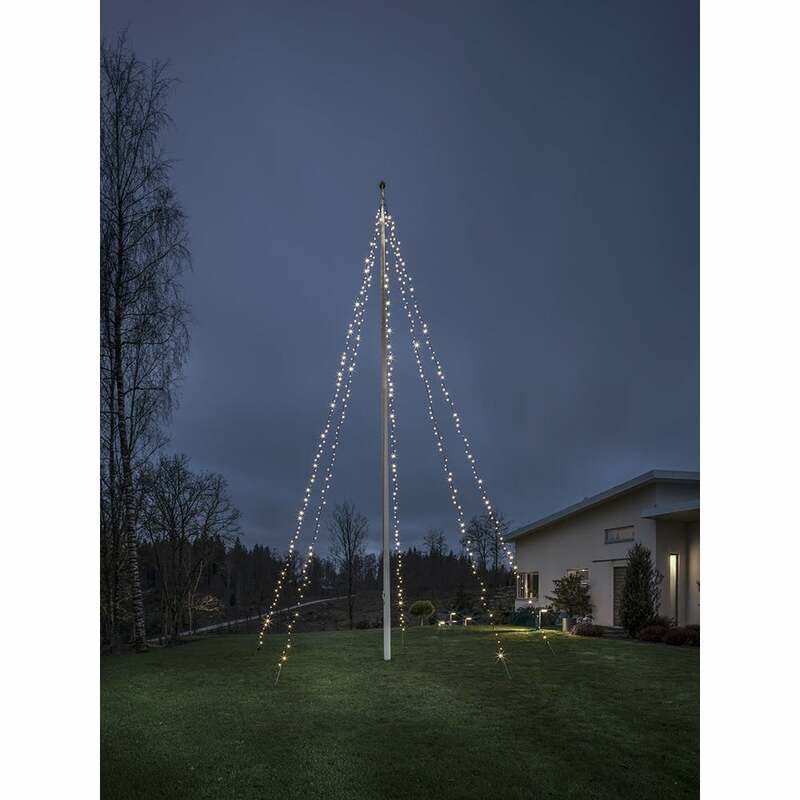 Konstsmide Flag Pole light set features 500 moulded warm white LED's displayed on five individual black soft cables cascading from the top of the grand pole to the ground. These magnificent outdoor lights will provide your towering flag pole with striking illumination making an impressive statement this festive season or any time throughout the year for parties etc. Best suited for flag poles 8-10m high and comes with a transformer included. Konstsmide offer an array of wonderful Christmas lights all of which can be viewed and purchased from our website.